Voters in the town had recently passed a bond issue to build a modern, energy-efficient school on a new site across town. The old school was declared obsolete and unsuitable for school purposes. The Roundup school board gave the informal committee three years from the date the new school opened in August 2015 to find an alternative use for Central School, with the caveat that no taxpayer money could be spent on a re-purposing project. The members of the Committee to Save Central School invited everyone in the community to offer ideas that might lead to a new life for the old building. 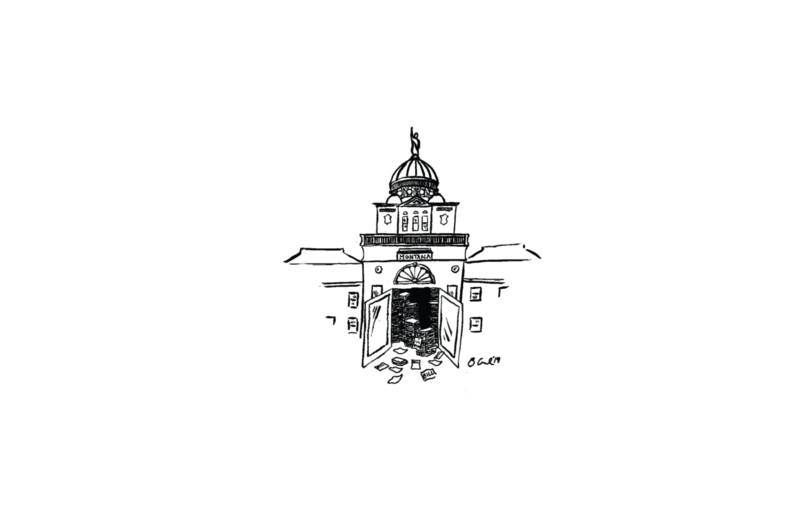 Possibilities included a trade school connected to a community college; an artist-in-residence facility serving students from all over the world; a new home for the town’s historical museum; offices for the district court; county offices; or a new firehall with community meeting space. Sadly, all of these worthy ideas required some outlay of public funds, which made them unacceptable. The City of Roundup hired Randy Hafer, co-owner of High Plains Architects in Billings, to draft a Master Plan for the downtown area. 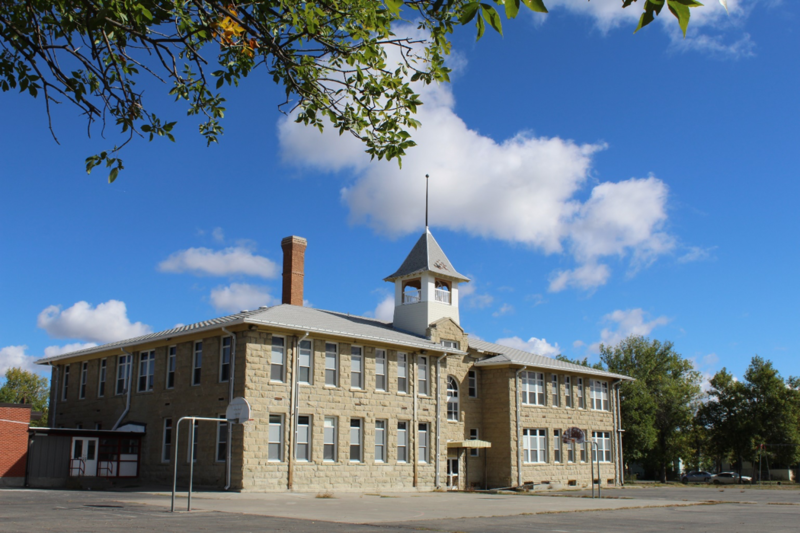 Having successfully re-purposed several historic buildings in other Montana towns, Hafer saw the possibilities waiting within the walls of the Central School and included it in his plan. He envisioned turning the building into residential and office space designed to meet specific needs in the community – an idea that the Roundup School Board and the Committee to Save Central School met with cautious optimism. But funding for the project remained an issue as several promising leads fell through in early 2018. Hafer continued to refine his proposal, conducting marketing research, investigating the use of federal historic preservation tax credits to help finance the project, working through a maze of local ordinances that could have been roadblocks to re-purposing the building, and extracting commitments of support from private investors. Time was running out, and some members of the school board were reluctant to extend the demolition deadline. 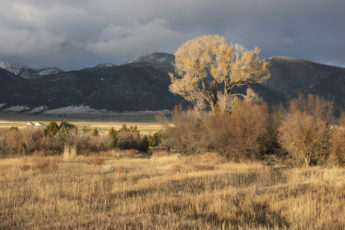 Coincidentally, Theresa Doumitt, a member of the Committee to Save Central School, attended a workshop at Fairmont Hot Springs with Kathie Bailey, Director of the Snowy Mountain Development Corporation, a non-profit organization in Lewistown that assists rural communities in their efforts to improve their economic stability. The two sat in on a presentation about a new form of cooperative association recently allowed by Montana statute. Rural communities in the state are now authorized to incorporate for-profit investment cooperatives to help raise capital for local economic development projects. Executive Director Janice Brown of the Montana Cooperative Development Center in Great Falls agreed to come to Roundup to explain the opportunity to interested residents. At present, the cooperative has 14 members with enrollment remaining open into the future. Some residents in Lavina, a community on the Musselshell River 25 miles west of Roundup, are considering joining MRIC to help fund a re-purposing of the historic Adams Hotel. The women who serve as MRIC Directors are grateful to all the people who stepped up to help make Montana’s first rural investment cooperative a success. There will definitely be a party at Central School when it opens its doors in a new capacity and continues to be the heart of Roundup. Wendy Beye is a freelance writer and volunteer secretary for several organizations in Musselshell County. She served on the Committee to Save Central School, chaired the community Steering Committee, and is now Board Secretary for MRIC. For more information on the cooperative, call her at 406.320.2732.